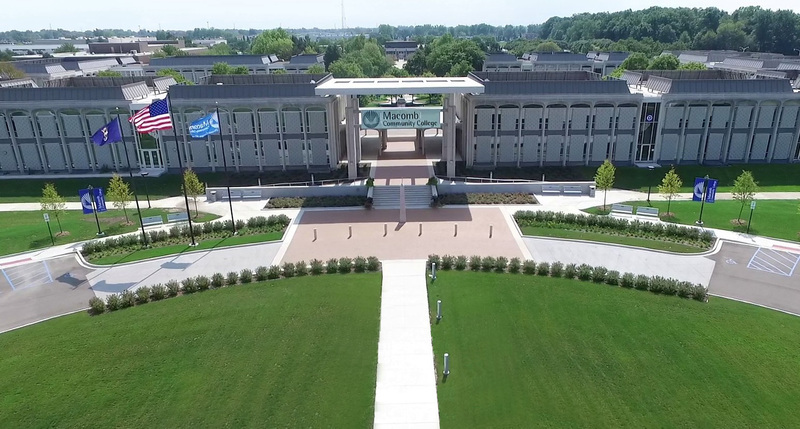 Macomb Community College (MCC) is one of the most frequently searched colleges in America, according to a recent internet keyword search of American colleges. Established in 1954, Macomb is a public two and four year, multi campus college located in Warren, Michigan. Due partly to its open admissions policy, Macomb College has an enrollment of roughly 40,000 students. About 4 percent of them are international students. The student faculty ratio is approximately 27 to 1. The school places heavy emphasis on workforce training, although college credit courses are also offered. Macomb College is accredited by the Higher Learning Commission of the North Central Association of Schools. Notable MCC alumni include Thomas Ligotti (author), Cynthia Watros (actor), and Anison Roberts (award winning vocalist), as well as a number of Macomb county executives. 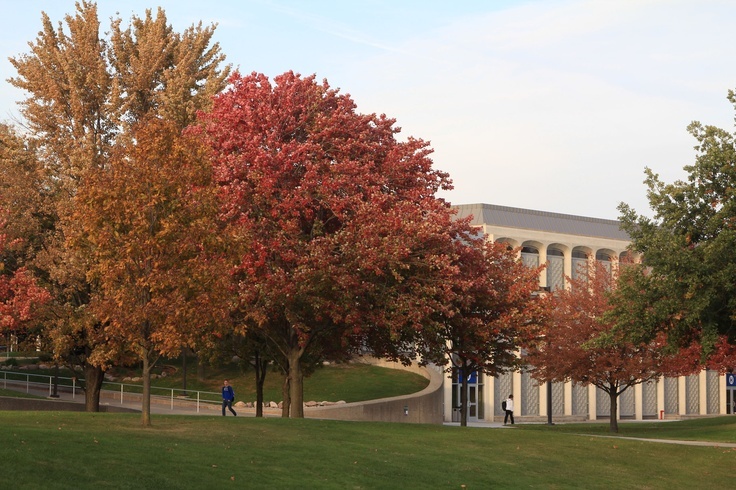 Due to its politically oriented location, MCC is a popular stop for sitting presidents, as well as presidential candidates on the campaign trail. Here are the answers to some of the most frequently asked questions about Macomb Community College. 1. Where is Macomb Community College? The South Campus in Warren is located at 14500 12 Mile Road. The zip code is 48088. The M-TEC campus, also in Warren, is located at 7900 Tank Avenue, zip code 48092. The Center Campus in Clinton Township is at 44575 Garfield Road, zip code 48038. The East Campus, also in Clinton Township, is at 21901 Dunham Road, zip code 48036. 2. What types of degrees are awarded at Macomb Community College? MCC offers roughly 200 degree and certificate programs in a broad range of academic subjects and popular skilled professions. These days, Macomb College still awards more Associate degrees than any other college in Michigan (in addition to countless career and workforce training certificates). Also, through partnership, MCC now has a University Center that awards Bachelor's and Master's degrees. 3. What courses and programs are offered at Macomb Community College? 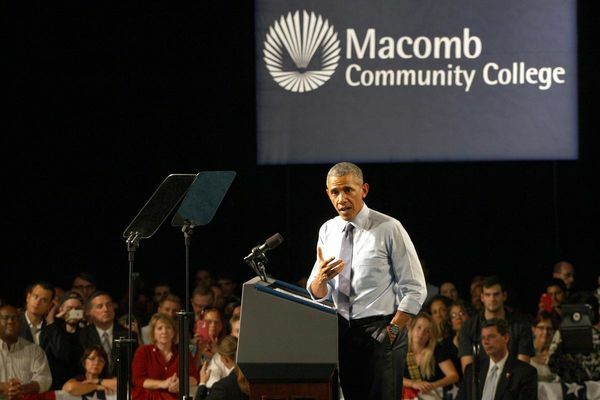 4. Who should attend Macomb Community College? MCC is an appropriate choice for just about anyone of any age who lives in the area, and wants to learn employable professional skills. MCC is also perfect for students who are headed to universities, as the college credit courses are usually transferrable. MCC even has a kids' college, where kids get to build remote control vehicles, practice animation, play music, and build things with LEGO. 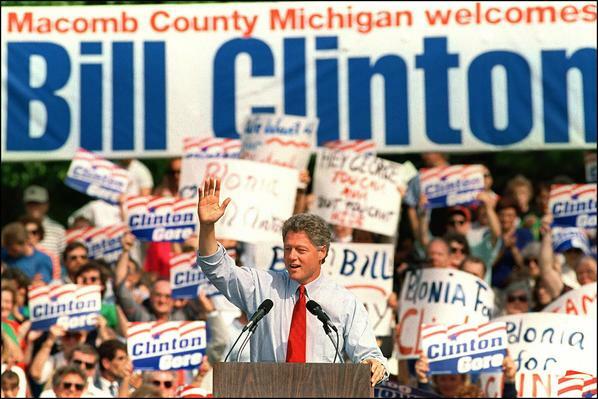 MCC may hold special interest to people involved in the field of politics, as every president since Ronald Reagan has spoken here. 5. Why attend Macomb Community College? For one thing, Macomb is able to maintain a lower tuition than most four year colleges. MCC students who transfer to universities in their junior years can save $15,000 or more. The Center for Advanced Automotive Technology at MCC is partnered with Wayne State University, and funded by the National Science Foundation. The Center for Innovation and Entrepreneurship is a free resource for Macomb students and community residents. The MCC Innovation Fund helps fund startups, in order to stimulate economic growth. MCC also has a very strong Cultural Program, featuring ongoing activities and exhibits. 6. How much does it cost to enroll at Macomb Community College? According to the MCC website, the current cost of tuition to attend Macomb College is charged by the credit hour, and the more credits you take in a semester, the lower the cost per credit hour. Students who take 6 credit hours would only need to pay $115 per credit hour, and so on. Despite the relatively low cost of tuition, the Macomb Community College Foundation offers more than 100 private scholarships to help students at MCC pay for their educations. The college is also partly funded by local tax revenue and state grants. Other financial aid options include federal grants, loans, and work study programs for students who successfully fill out the FAFSA form. Additional tuition adjustments include senior discounts and military discounts. 7. How long does it take to earn a degree from Macomb Community College? If a student attended MCC full time, it would typically take about two years to earn an Associate's degree, about four years to earn a Bachelor's degree, and perhaps another two years to earn a Master's degree. The time it takes to earn professional certificates will vary, usually taking anywhere from six months to two years. However, roughly four out of five students at MCC attend the school only part time. These students are the majority, and will naturally take longer to earn their degrees or certificates. For part time students at MCC, how long it takes to earn a degree depends primarily on the student's workload. 8. What are the Macomb Community College campuses like? The MCC campuses are situated in an urban setting. Both the South Campus and the Center Campus have student centers, where students can meet and eat. Campus activities include many student interest groups and organizations, such as an Emerging Leaders Program, an Art & Photography Club, the “Campus Crusade,” and various performing arts groups, to name only a few of many extracurricular activities available at MCC. The school also sponsors men's and women's athletic teams. The sports teams at Macomb are called the Monarchs. They play at the campus Sports & Expo Center, and are members of the Michigan Community College Athletic Association. Among the intercollegiate sports for men at MCC are baseball, basketball, cross country, and track. For women, the sports are basketball, cross country, softball, track, and volleyball. The Macomb campuses have their own libraries. Each campus library has a coffee shop, where students can enjoy sandwiches, soups, salads, and gourmet coffee. The South Campus of MCC also features an extensive bookstore. MCC does not have any on-campus housing, although there are a number of convenient apartment houses not far from the MCC campuses. 9. What is the Macomb Community College neighborhood like? Surrounding the MCC campuses are a number of housing communities, such as the Fountain View Terrace Apartments and the Kings Pointe Apartments, as well as quite a variety of restaurants. Also around the immediate area are various recreational facilities, such as The Great Skate Roller Rink and an AMF bowling alley. There's even a golf course just a few miles northwest of MCC. Just a few miles to the east are the shores of Lake St. Clair, which is fed by Lake Erie via the Detroit River. Just across the Detroit River is the southernmost part of Canada. 10. What are the distance learning options at Macomb Community College? 11. What is the contact information for Macomb Community College? You can reach the main information center of Macomb Community College by calling 586-445-7999. To use a toll free number, call 866-MACOMB-1 (866-622-6621). 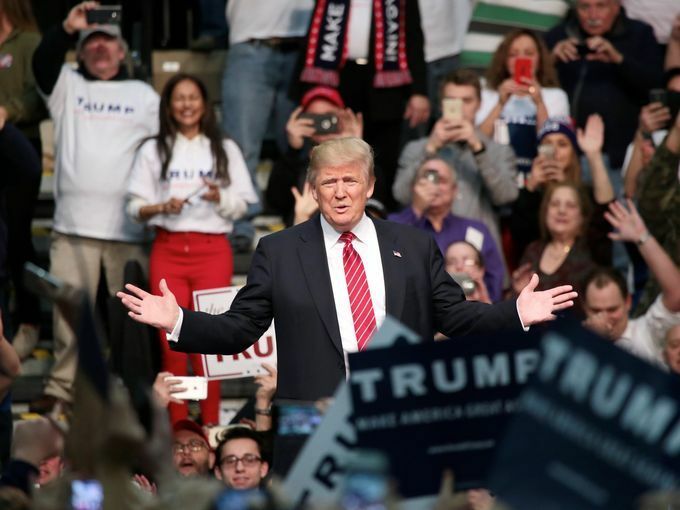 Donald Trump visits MCC in 2016.